Discover Cuisines Nuenza's Redesigned Website! Discover Cuisines Nuenza’s Redesigned Website! Cuisines Nuenza, Montreal’s kitchen renovation and design expert, is thrilled to announce the launch of our newly redesigned site! The new design is simple and sleek, yet boldly highlights our brand colours and features vibrant rotating banner images of some of our kitchen and bathroom designs. Our new portfolios feature style filters, as well as large project images and project details. We invite you to get a taste of what Cuisines Nuenza can create for your home by browsing our portfolio pages. 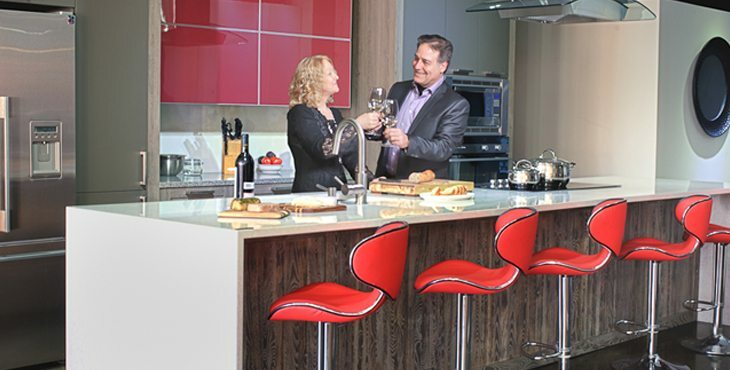 Experience Nuenza’s passion for life as we explore many aspects of day-to-day creative living by visiting our new home design Blog! Visit our blog regularly for all the latest kitchen design news, trends, tips, accessories and home renovation stories. Our redesigned site also includes many new pages that highlight our kitchen and bathroom renovation Services, such as our Kitchens, Kitchen Cabinets, Bathrooms, and Unique Spaces pages. Our Styles and Colours page features the variety of styles, colours, and elements we use in our kitchen renovation projects and designs. You’ll find social icons in the header and footer of our new site; the icons link to our profiles on Houzz, Google +, Pinterest, and Facebook. You may or may not have heard about Houzz; Houzz is a great social network for the home renovation industry that brings home owners and home professionals together. Click the icons to visit our profiles and don’t forget to “Like” us while you’re there! On our social networks we share news, tips, trends and best practices to keep you up to date on what’s new in kitchen and bathroom renovations. We are thrilled to launch our new site and excited to share the finished product with you! We invite you to browse our new Website and design and discover our new look for yourself!